Medicare Advantage plans are called Part C plans, or MA plans. They are offered by private insurance companies. Only companies approved by Medicare can offer Part C plans. This means that if you join a Medicare Advantage plan, you still have Medicare coverage. You also get Medicare Part A (hospital insurance) and Medicare Part B (medical insurance). These are covered under Medicare Advantage, which is different Original Medicare (Parts A and B). To qualify for MA Plans, you have to meet certain requirements. These are based on age, income, eligibility for Medicaid and other factors. In addition, you must already qualify and be enrolled in Medicare Part A and Part B. The following guide can help you learn more about Medicare Advantage plans and how to sign up for one. When can you sign up for Medicare Part C? There are certain times of the year when you are allowed to sign up for Medicare Advantage and Medicare prescription drug coverage. And, there are also certain periods when you can change the coverage that you already have with Medicare Advantage plans. If you want coverage for Part C, you must already have Medicare Part A and Part B. In addition, if you have end-stage renal disease (ESRD), you might not be able to receive MA coverage. Extra Help under Medicare is a program for people who have limited resources and income. It helps then pay for prescription drug costs. Those who qualify for Extra Help receive filled prescriptions. They may also pay nothing out of pocket under this plan. You are allowed to apply for Extra Help at any time, and there’s no cost to apply. Even if you don’t know whether you qualify for this additional coverage, it’s worth applying for. To learn more about Extra Help and to apply, you can visit https://secure.ssa.gov/i1020/start. How often do enrollment periods for Medicare Part C Plans occur? Drop prescription drug coverage altogether. January 1 to February 14: You can leave your MA plan at this time and switch to Original Medicare. New coverage begins the first day of the following month. If you switch back to Original Medicare during this time, you have until February 14 to join a Medicare Prescription Drug Plan. What services do Medicare Advantage Plans cover? Under Medical Advantage Plans, all services are covered, just like Original Medicare. The exception is if you need hospice care. MA plans are considered to be like health maintenance organizations (HMOs) and preferred provider organizations (PPOs). Only Original Medicare provides coverage for hospices. But you can qualify for this coverage, even if you have the Medicare Advantage Plan. In addition, all types of emergency care situations are covered under MA Plans. Medicare Advantage Plans are offered through private companies. As such, there are costs that aren’t covered, because they are not deemed medically necessary under Medicare. However, you may not be sure whether a service is covered. Or, you may not believe a service needs to be covered. For either circumstance, you must check with your provider to ensure that you receive coverage. In addition to basic coverage, additional coverage for hearing, vision, dental, mental and wellness programs may also be available. Most MA plans include prescription drug coverage (Part D). The type of Medicare Advantage plan that you receive will be particular to what you can pay for and what you qualify for. Costs and coverage change, depending on the company offering coverage. How much does Medicare Part C cost? Medicare Advantage plans are sold by insurance companies and must be approved by Medicare. That means they are considered to be alternatives to Original Medicare, with a few more services than traditional coverage. Part C costs depend on the insurance company, type of plan (HMO or PPO) and services that you need. As you pay for your Part B premium, you will also pay a monthly premium to be enrolled in Medicare Advantage Plans. Every Medicare Advantage Plan can have a different out-of-pocket cost. The plans also specify the rules for how you receive their services. For example, you may need a referral to see a specialist with some plans. Or, you may only be allowed to go to certain facilities and doctors, who are included in your plan. In addition to the premium, some Medicare Advantage plans also have deductibles for additional coverage, particularly if you need prescription drugs. However, if you meet certain income requirements, you may not have to pay extra for prescription drugs. How does prescription drug coverage work with Part C? Part D coverage is offered through most Part C plans. However, some types of plans charge a deductible for drug coverage or an additional fee. In these cases, you would instead join a Medicare Prescription Drug plan. You also can’t have prescription drug coverage through Medicare Advantage and Medicare Prescription Drug plans. You cannot be enrolled in a MA plan that has drug coverage and also join a Medicare Prescription Drug plan. If you do, you risk being disenrolled from Medicare Advantage plans and returned to Original Medicare coverage. What is Medigap and does it work with Part C? Medigap is an additional health insurance plan that you can buy from private companies. It pays healthcare costs that are not covered under Original Medicare. These costs may include deductibles, copayments and treatment costs. You are not eligible for a Medigap policy if you’re enrolled in a Medicare Advantage Plan. Medigap doesn’t cover: long-term care, dental care, vision care, hearing aids, eyeglasses or private nursing. Most of these plans also do not cover prescription drugs. If you want a Medigap policy and join a Medicare Advantage Plan, you won’t be able to continue benefits. However, this would be allowed if you switched to Original Medicare. In addition, Medigap can’t be used to pay Medicare Advantage copayments, deductibles and premiums. You may want to qualify for a Medicare Advantage plan, but currently have a Medigap policy. In that case, you would cancel your policy with Medigap first. You’ll need to contact your insurance company to see what your options are. You may have had a Medigap policy before you joined. If so, you may be able to get the same policy if the company is still offering the same plan. If the plan is not available, there are other Medigap policies to choose from. The Medigap policy no longer includes prescription drug coverage, even if it was included in your previous plan. In these cases, you can also join Medicare Prescription Drug Plans. You may have signed up for Medicare Advantage plans when you first became eligible, but want to switch back to Original Medicare. If so, you can also sign up for Medigap policies. 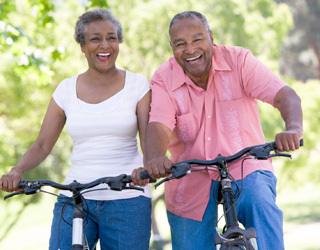 Medicare Advantage plans offer more services and flexibility than Original Medicare. Understanding how MA Plans work is essential to getting the right coverage. This also ensures that you only pay for what you need, in terms of health costs.